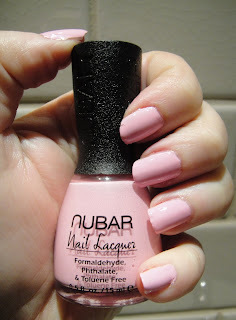 This is Oh Baby Pink and it’s from the Nubar Hypnotic Valentine’s collection (which is available from the lovely, lovely people at Beauty Shed) it’s a pastel pink creme, that only took two coats to cover my nails in dense, pink colour. It was a dream to apply, slightly streaky on the first coat, but fully opaque and shiny on the second. Nubars always wear pretty well, and I’m assuming this won’t be an exception to that. My photos wash the colour out a little here, making the shade a lot more pastel than it actually is. In the flesh, this shade is more of a candy- than a baby-pink. If Barbie OD’d on Tipp-Ex, then this is what she’d throw up. It’s a real love-it or hate-it shade, this one. I think I’m on the wrong side of that particular choice! That said, I’ve been wearing the colour out and about the last day or two, and some people really, really love it. I think it’d be a great shade for people with cool-toned pale skin, or very dark, or tanned skin. I think on my pale (very pale) yellow-y skin that it just makes me look a bit jaundiced. 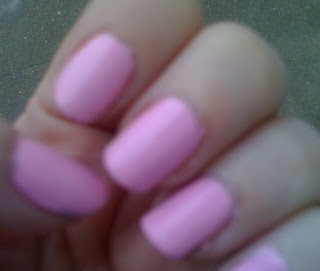 If you like soft, girly colours, then you will adore this polish. 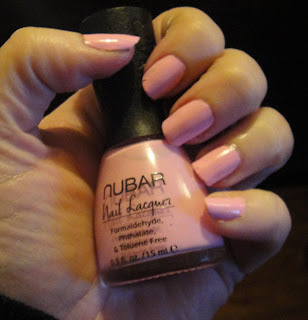 Nubar say it’s a lovely romantic shade – I’m not entirely sold on that, being reminded faintly of Pepto-Bismol every time I look at it) but there’s no doubting the quality of the polish itself. No flowers please, the ceremony will be a private, family-only affair. MrLippie has been laughing about it ALL DAY. Previous Post Organic Wednesday – A change from our usual programming. Oh I like it. 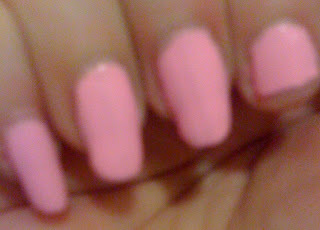 I have a few pale / candy pinks but none of them opaque enough, i can't stand it when you can see the nail tip. will check out this brand one of these days.